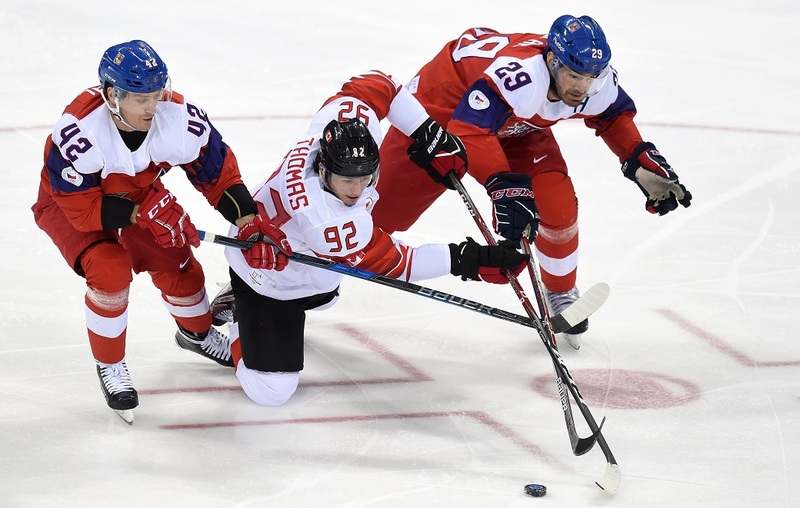 It wasn’t the medal they came for, but a Canadian roster featuring 13 active KHL players rounded out its Olympic campaign with a 6-3 victory over the Czech Republic in the bronze medal game. Canada rolled to a 3-1first period after a scoring flurry that brought three goals in 31 seconds midway through the frame. First, Andrew Ebbett gave the Canadians a power play lead, but Martin Ruzicka tied the scores almost immediately for the Czechs. Nothing daunted, Canada restored its advantage thanks to Chris Kelly. A further tally from Derek Roy late in the session gave Willie Desjardins’ team a more comfortable cushion as it looked to prove a point following Friday night’s semi-final humbling against Germany. “If this is the last thing I win, I can retire a happy man,” said Metallurg defenseman Chris Lee, as he proudly clutched his Olympic medal. “A lot of what we talked about before this game was past performances by Canadian teams and the history we have of maybe not showing up for the bronze because it’s always been gold or nothing. After a scoreless middle period, Ebbett got his second of the game when he deflected a Brandon Kozun pass beyond Pavel Francouz to make it 4-1. For Loko’s Kozun, it was a second assist of the game. But it was a matter of seconds before Jan Kovar pulled one back for the Czechs as they converted a power play to keep the game alive. However, once Kelly got his second of the game, assisted by Rob Klinkhammer, the Czechs’ hope were over and Canada could at least claim a bronze medal after its golden run came to an end. And when Martin Erat had a goal chalked off following a coach’s challenge, it was clear that the Czech campaign was done. 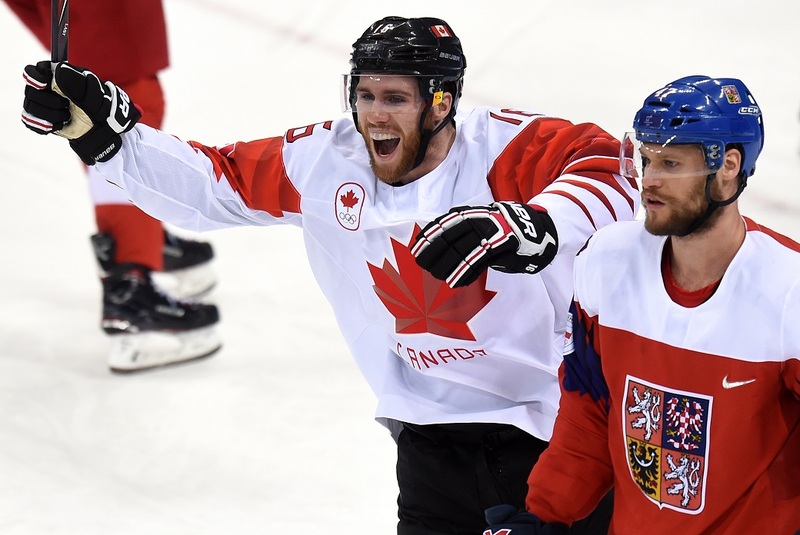 Wojtek Wolski added a sixth, assisted by Quinton Howden, as the Canadians finished off a difficult campaign in some style. There was still time for Roman Cervenka to get on the scoresheet, with the former SKA man swatting home a looping puck after Jakub Nakladal’s shot looped off goalie Kevin Poulin and making it 4-6 as the Czechs threw on an extra attacker late in the game. The Canadian KHL roll of honour is as follows: Ben Scrivens (Salavat Yulaev), Chris Lee, Wojtek Wolski (Metallurg Magnitogorsk), Mat Robinson (CSKA), Eric O’Dell (Sochi), Chay Genoway (Lada), Brandon Kozun (Lokomotiv), Marc-Andre Gragnani, Quinton Howden (Dinamo Minsk), Karl Stollery (Dinamo Riga), Rob Klinkhammer (Ak Bars), Linden Vey (Barys), Gilbert Brule (Kunlun Red Star). They become the first KHL players to win an Olympic medal from a nation other than Finland, which took bronze in 2010 and 2014. Tomorrow sees the gold medal game between the Olympic Athletes from Russia and the surprise package from Germany. Despite facing an opponent expected to make little impact in Korea, the Russian players are taking nothing for granted against a team that has already defeated Sweden and Canada on its way to a first ever Olympic hockey final. CSKA defenseman Bogdan Kiselevich, who spoke of his disappointment after watching Russia’s last Olympic final end in defeat to the Czechs in Nagano when he was a child, insisted that nobody would take Germany lightly tomorrow. “We can’t say that it’s a joke to play Germany in the final,” he insisted. “That team defeated Sweden and Canada on its own merits, so this is a serious opponent. As for the Germans, they are lapping up a glorious campaign that ensures they will get a hero’s welcome back home regardless of the outcome in the gold medal game. And Lee, part of the Canadian team that lost against Germany, had some encouragement for his Metallurg colleagues Vasily Koshechkin and Sergei Mozyakin.